Brandon is a great pal who told you all about Name.com—so we’re here to help you get started. Once you’ve created an account, you’ll receive $5.00 in Bearglecoins* as a thank you! Verifiable contact information is required for domain registration. Please create an account to proceed. VAT exemptions are only applicable to businesses. Send me Name.com's latest news, services, and promos (you can unsubscribe at any time). *Bearglecoins can be used for payment at Name.com. 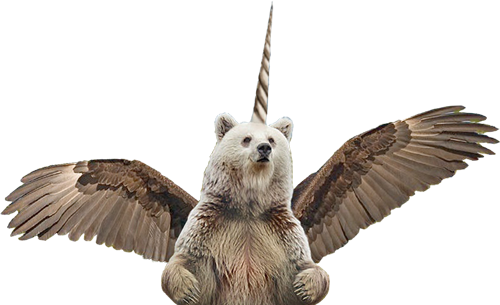 They’re named after our mascot, Bearglecorn, who graces this very page.